XMP metadata is Adobe specific. Adobe applications store metadata using the eXtensible Metadata Platform (XMP). XMP is built on XML, which facilitates the exchange of metadata across a variety of applications and publishing workflows. Metadata in most other formats (such as Exif, GPS, and TIFF) automatically transfers to XMP and displayed in the XMP area of the Metadata Panel. so you can more easily view and manage it. Dublin Core metadata is displayed in the XMP area of the Metadata Panel. 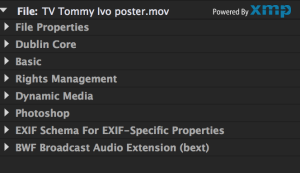 The XML Metadata Panel in Premiere Pro CC subsumes some of the other metadata schemas. 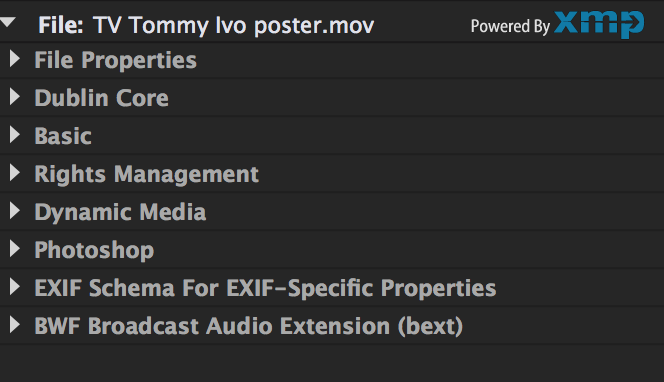 Currently XMP metadata is only used in Premiere Pro CC. There is no support in Media Composer or Final Cut Pro X.